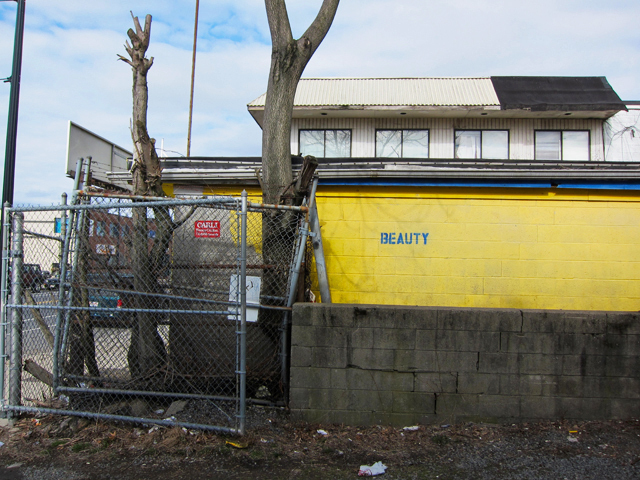 The City of Somerville, Massachusetts, has a conflicted reputation. Popularly known by many as “Slummerville” and by few as “Hipsterville,” New England’s most densely populated city is very photogenic. As a seven-year resident, my social media accounts are clogged with images of the neighborhood. I try never to leave home without some kind of camera in my pocket. Lush gardens, bathtub Madonnas, cement lions, telephone lines, makeshift memorials, and storefronts are my usual subjects. 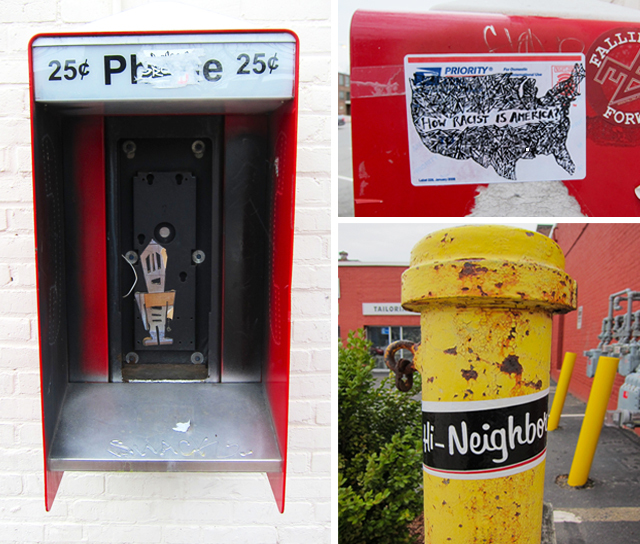 This past month, I’ve been taking photos of street art – temporary installations, graffiti, and stickers. Some of the stuff has been there forever, and I’m just seeing it for the first time. Other work is fresh. I once had a photography teacher tell me that every time we stop to take a picture, we’re having an emotional response to light. With this in mind, I sometimes comb through photo records to understand my own feelings. When I look at this collection of images, all taken in the past few weeks, I sense a longing to connect with the greater community – both the artists’ and my own. Amy lives in Somerville and works in downtown Boston. She met her life partner and discovered the field of urban planning while attending a psychogeography festival in Providence, Rhode Island. She is a street art enthusiast and sometimes dabbler. Hey, I’ve seen that little Robot on the street before! I’ve seen it painted with crosswalk paint, though can’t remember where. Here’s what I found throughgoogle image.